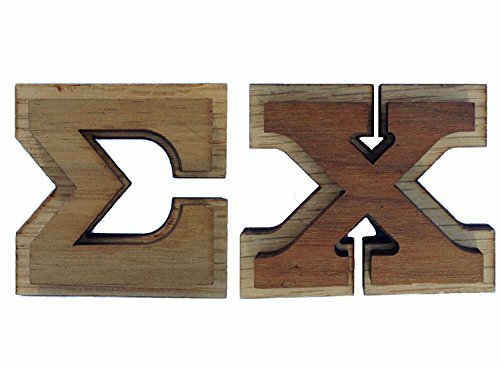 Double layered wood letters. Each letter measures approximately 1 1/2 inches tall. Each letter contains a sticky adhesive on the back for attaching to whatever you want. Add a great look to any plaque. These letters look great and will not come off whatever you stick them to. 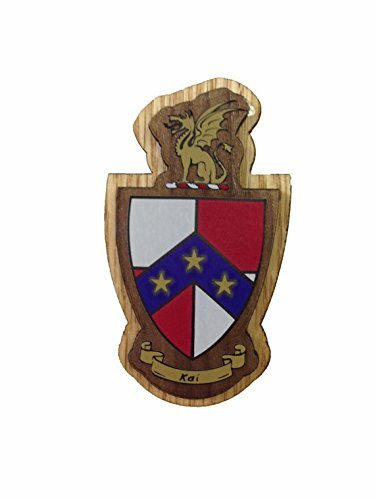 Exclusively Designed Wood CrestsDo you want a quality made, officially licensed, made of crest that is the perfect item to put on a paddle, mascot board, wood letters or really a bunch of other products? 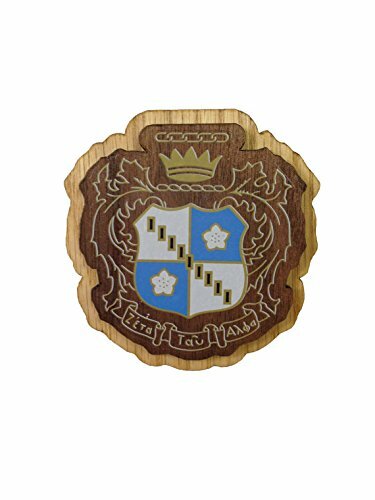 The Desert Cactus Wood Crests are produced to exact specifications by your organization (crests) and are officially licensed products. 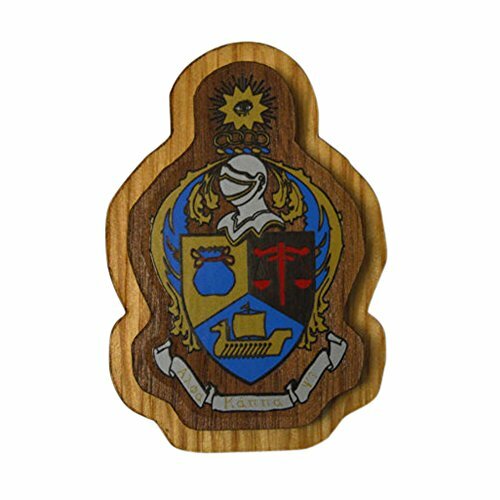 They are manufactured to the highest possible standards, easy to affix to a variety of products and the wood crests are the perfect design to display your pride for your organization.Measurements; Measures roughly 3.5 inches tall for the double raised wood crest and 1.5 inches tall for the single raised wood crest If you want a stylish, officially licensed Wood Crest as a gift for someone special, we're here to make sure you get nothing but the best. 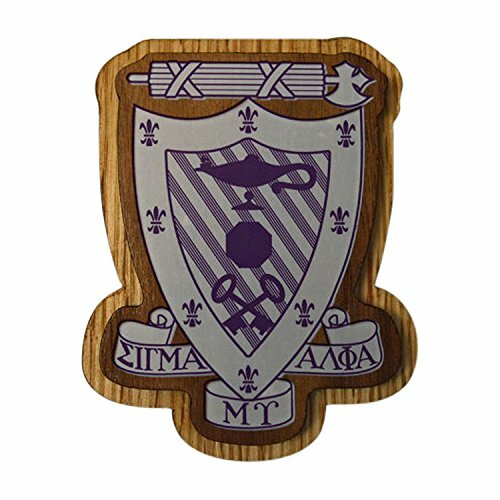 Desert Cactus has the largest selection of Fraternity and Sorority products on the market today. 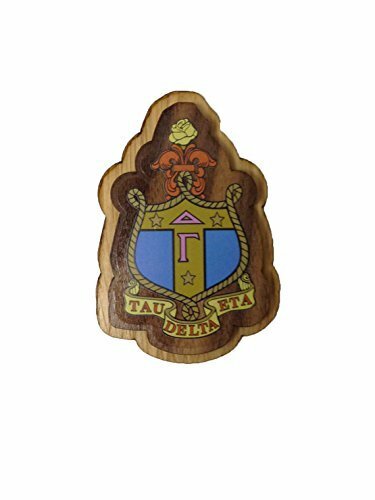 Quality as well as amazing value for money and this item allows you to support your Sorority, Fraternity house or organization by purchasing Officially Licensed products.Risk-FreeNot completely satisfied? We'll make it right, no questions asked. All of our products have our 30-day return policy which means you can experience your new Wood Crest risk-free.